I’m a big fan of GWB12. I’ve had Pro licenses for V8-11. This version is certainly worth the hype! The Geochemist's Workbench® Release 12 isn't just a huge step forward in the package's modeling capabilities, it's an all-around upgrade to your user experience! The new multithreaded application Phase2 and its companion program P2plot generate any type of phase diagram quickly and easily. 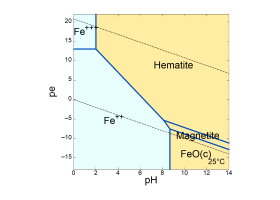 Create phase assemblage diagrams or “true” Eh-pH and activity diagrams. 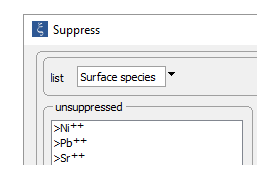 Included in GWB Professional, Phase2 lets you render species predominance, gas pressure, reaction kinetics, isotope fractionation, and much more. 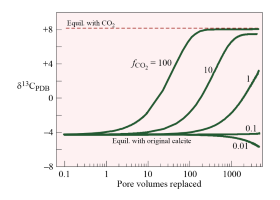 The all-new isotope feature treats fractionation of the stable isotopes of any element for which one isotope is dominant. You can consider an arbitrary number of the isotopes of a given element. And the isotope model has been extended to SpecE8, Phase2, X1t, X2t, and ChemPlugin. Choose from the Tsonopoulos, Peng-Robinson, and Spycher-Reed gas pressure models. The apps report in their output both fugacity and partial pressure. 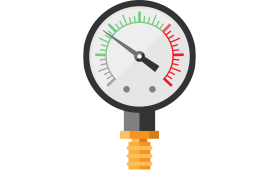 You can constrain the basis in terms of gas pressure, use partial pressure as a promoting or inhibiting factor in kinetic rate laws, and so on. 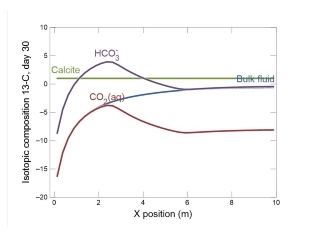 The applications report the reaction rate for each reactant, whether the rate is set by a rate law, fixed by mass transfer, or implied by a buffering reaction. The reactive transport codes and ChemPlugin model the transport of stable isotopes, whenever an isotope system is active. Razor sharp anti-aliased lines in quarter-point increments team up with an artist-designed color palette to make your graphics shine. 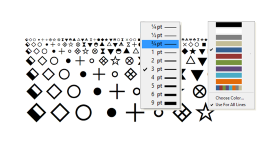 Plus, our new symbols font contains dozens of markers specially designed to mark your geochemistry data points, in any color or size. 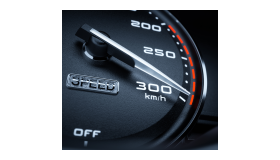 The modeling applications produce plot output in an open-source XML format, so you can render the results of GWB calculations in any XML-capable graphics package, or use the GWB graphics programs to render output from other modeling packages. Revamped code cuts through your toughest problems quickly and surely. Overlay on your activity diagrams as many scatter datasets and reaction traces as you wish. 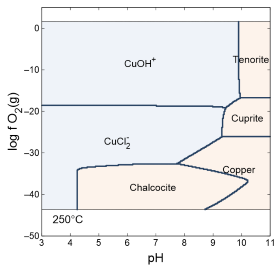 New anionic model lets you consider exchange of phosphate, carbonate, sulfate, and other ligands on a sediment surface. 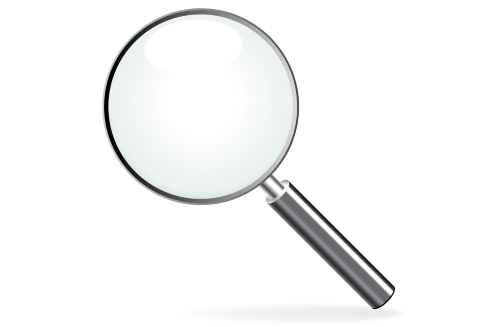 The codes monitor internal consistency on multiple levels, from fine grained to global. There’s no need to do anything: Auditing is automatic in every run, operating silently unless there’s a problem. 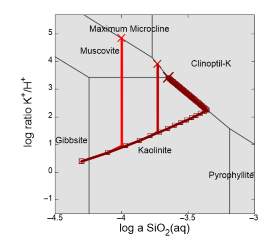 Xtplot can render the distribution of minerals in the domain as a phase assemblage map and display a predominance diagram for any element or basis entry. Improvements to GSS include the ability to embed comments within individual cells in a datasheet. Act2 and Tact can extend activity diagrams beyond the stability limits of water, whether you display the stability limits or not. Suppress individual Kd or Freundlich species, or alter their binding constants interactively from within the application. 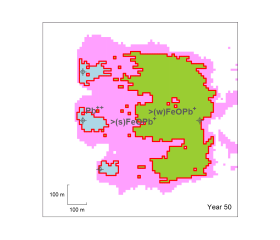 The reactive transport codes report a summary of mass net influx and efflux for each simulation. Save the current configuration from a modeling application in bit-exact hexadecimal format. “Stick points” in the GUI have been streamlined to reduce click rate and improve transparency. Going to the field, or anywhere you can’t connect to your license server? Borrow a copy to use until you get back to the office.